Hernia surgery can be performed in a couple of different minimally invasive ways, including laparoscopic surgery and robotic surgery. 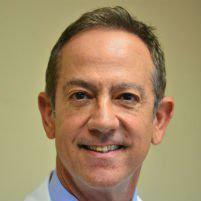 Dr. Moses Fallas is a West Los Angeles general surgeon who offers both types of hernia surgeries to his Beverly Hills, CA area patients. A hernia is an organ or tissue growth that protrudes through a weak spot in the body, such as the abdominal wall. The majority of hernias can be detected when part of the intestine moves through a weakened portion of the abdominal wall, resulting in an obvious bulge. Hernias develop in the abdominal area in many cases. They may be found around the navel or in the lower abdomen. Hernias can also develop in the groin area. In any area of the body where a surgical incision is present, hernias may develop. Sometimes hernias already exist at the time of birth, but many others develop over time. Most hernias are seen in adult patients. While hernias can occur in people of any age, they may be more likely in adults who have risk factors like advanced age, smoking, and excess weight. People who have had surgery in the past sometimes develop a hernia at the surgical site, just under the scar. People who have previously injured their muscles or anyone who puts excess stress on their muscles may also be at risk. Some pregnant women develop hernias due to the excess weight and pressure of the baby in their abdomen. Every patient may need a unique approach to hernia treatment. While there may be temporary relief measures like binders, surgery is the only long-term cure for a hernia. Hernia surgery can both correct the hernia and prevent it from causing future pain. Thanks to the advanced laparoscopic techniques used for hernia surgery today, the recovery time is faster than it has ever been before. Laparoscopic surgery also allows for less bleeding, smaller incisions, and less pain during and after surgery.